The Tarkarli beach is a long coastline and is very famous for its clear and clean water. 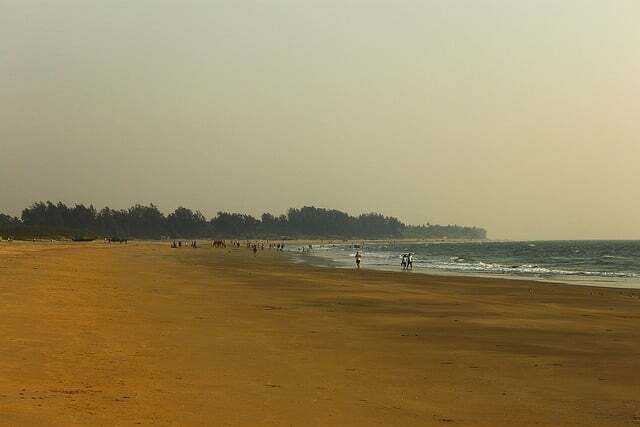 The beach is situated in the confluence of the River Karli and the Arabian Sea. The place is famous for the clean atmosphere and the various water sports available in the vicinity. The water is so clear that on a good day, one can see the water bed for about 20 ft. in depth. The tall Shuru trees in the background provide the best setting for the pristine water. One can also go on dolphin sighting tours into the water. Tarkarli beach is a lovely place to visit. 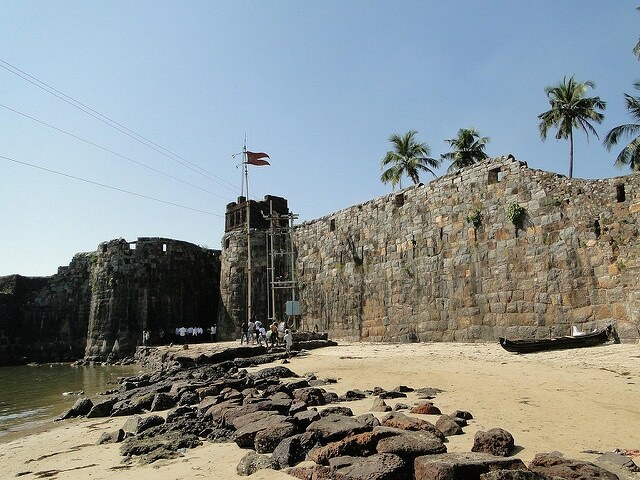 Sindhudurg in Marathi means ‘a fort built on the ocean floor’. The fort was built during the time of King Shivaji who built it over a period of 3 years. The construction of the fort took about 100 Portuguese architects and more than a thousand workers. The fort is also home to temples of Hanuman and few Godesses. The fort is a beautiful historical monument that one must visit. Deobagh is a village that is home to fishermen who also offer their boat services to tourists who want to go into the deep sea. The place also offers delicious seafood that is sold at a cheaper rate. Dolphins are a common sight here and some of the must have seafood includes crabs, fish curry and king prawns. Achra Beach is about 6 km away from the city. The water runs clear and has a lot of adventure sports. The beach also has numerous temples including the 260-year-old temple called Lord Rameshwar temple. The village nearby is also known for its medicinal treatments and farming. The beach is a perfect family outing destination. Dhamapur Lake is spread over about 10 acres and also has numerous water based adventure sports. There is a temple nearby that is visited by the locals called the Bhagwati temple. The lake was constructed by the King Nagesh Desai in 1530 by clearing two villages. The lake has clear waters and hills surrounding it. Huts are also available for hire near the lake. The temple dedicated to Chhattrapati Shivaji was said to be built by Rajaram in the year 1695. The idol inside the temple was carved out of stone. The appearance and the look of Shivaji is said to be as accurate as known till date. The temple also has the real footprints of Shiavji carved into a dome and his own palm prints on dried lime slabs. It is a must visit while visiting Tarkali. The Kolamb Beach, like the other ones nearby, offer adventure sports and dolphin sight-seeing facilities. The beach has a creek called Kolamb creek which forms at the point where it ends. The beach is among the most popular beaches around town and definitely worth a visit. Tarkarli is known for its white sand beach and water sports, and is known to be one of the most picturesque beaches in the entire Konkan region. The clear blue water and the beautiful Suru or Casurina trees are a breath-taking scene. Tarkarli also offers its backwaters of the Karli river that can only be found here in the entire of Maharashtra. There are guides and instructors available for hire that can help with organising historical walks around the monuments and forts. Tarkarli was a centre-point of Shivaji’s navy and is not only a tourist place but also serves as an important historical place to visit. Visit Tarkarli to enjoy the sandy beaches and get a glimpse into history!